A vicious circle of broiler chicken breeders in Assam has created an artificial shortage of the poultry across the State and the entire North-east. Taking advantage of the indifference of the State Government, the ‘Eastern India Poultry Development Forum’ has created an artificial shortage of poultry with a view to hike prices. This has come to light after the Forum has issued a notification in this regard. The Forum apart from supplying poultry to all the eight states of the north-eastern region also supply chicks to states like West Bengal, Bihar, Odisha, Jharkhand and the likes. 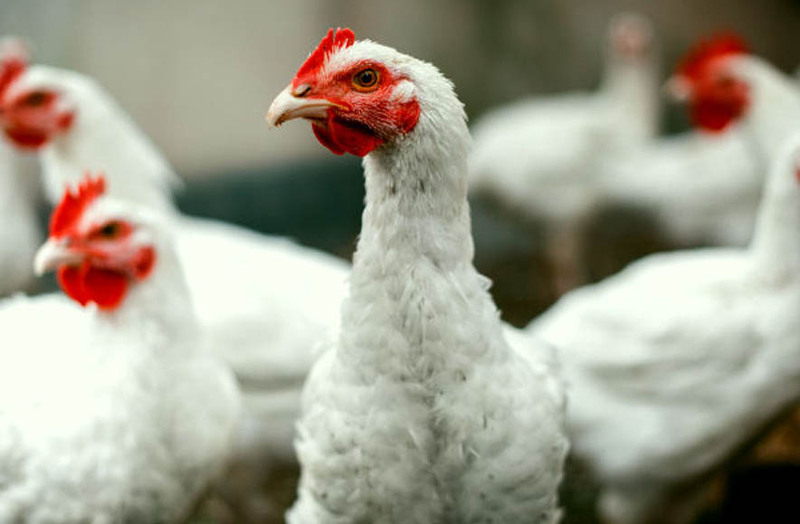 Notably, the Forum had held a meeting on May 13 last and basing on the decisions taken in that meeting, a notification was issued on May 16 directing all the poultry farms under the Forum to stop artificial breeding of poultry from May 26 to June 2 next. Moreover, the producers were also directed to stop selling eggs meant for hatching from May 27 to 31. 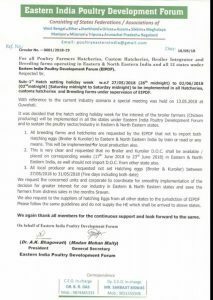 The notification signed by the president and secretary, Dr A K Bhagawati and Madan Mohan Maity of the Eastern India Poultry Development Forum also mentioned that due to temporary halt in the artificial hatching, one-day chicks will not be available in Assam, the North-east and other states like West Bengal, Odisha, Bihar and Jharkhand from June 17 to 23. With the issuing of this notification by the Eastern India Poultry Development Forum is bound to create a ruckus in the poultry market of Assam and the entire North-east. The decision by the Forum is bound to create a huge shortage of poultry in the market which is bound to have a direct impact with hike in prices. On the other hand, the Assam Government seems to be oblivious of the whole development. When contacted, commissioner and secretary of Animal Husbandry and Veterinary Department of Assam, Mukti Gogoi has confessed to Northeast Now that he is completely unaware of such developments. Gogoi, however, assured that he would hold talks with the Forum and get to know about the whole predicament.